Welcome to the worlds greatest guide to Maternity Pants. 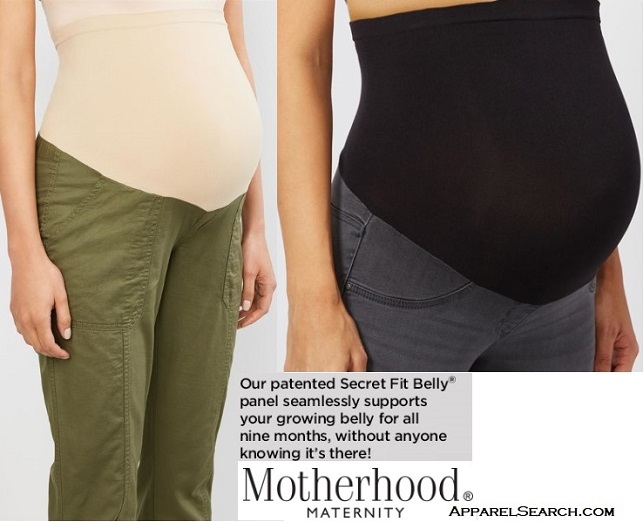 Are you actually looking for Maternity Pants? Well, we hope you are because the reality is that you have found our Maternity Pants page. In this women's clothing section of the Apparel Search directory, you will find all sorts of interesting information regarding Maternity Pants. Apparel Search is a leading guide to fashion, style, clothing, glam and all things relevant to apparel. We hope that you find this Maternity Pants page to be helpful. Ladies pants are clothing worn on the lower half of the body often from the waist to the ankles and covers both legs separately. Pants don't have to reach all the way to the ankles, but they do have to cover both legs separately. Maternity pants are manufactured with extra stretch and or room for the baby. Maternity pants come in a wide variety of styles. They are available as dress pants, yoga pants, capris, etc. You can also find multi-purpose pants that can be worn for work or everyday activities. Learn about maternity jeans and maternity short pants. If you want to be even more stylish, you should wear your favorite maternity pants.